A Hong Kong-listed firm has declared “untrue” a report in Chinese-language newspaper Ming Pao Daily, that interests associated with Alvin Chau Cheok Wa, boss of Macau junket investor Suncity Group, had taken over control of Macau’s shuttered Beijing Imperial Palace Hotel (pictured) and were planning to revamp it. The takeover was reported to be in lieu of a debt. Amax International Holdings Ltd – a firm that has been at the centre of a many months long struggle regarding the future of the hotel – made the filing on Wednesday. “The company would like to clarify that the article is untrue,” said Wednesday’s filing. The Ming Pao Daily report quoted Andrew Lo Kai Bong, Suncity’s chief investment officer, as the source of the information. “The company was informed by the hotel management that the hotel management is still in charge of the hotel and in no event the control rights of the hotel have been passed to Mr Chau,” the filing added. 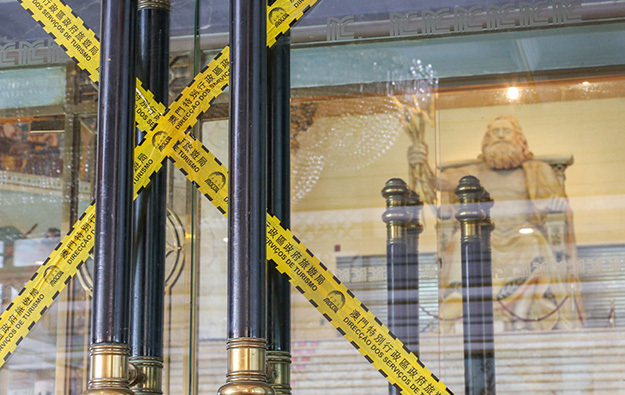 Beijing Imperial Palace, formerly known as the New Century Hotel, has been shuttered for more than a year, after surrendering its operating licence to the Macau government. The hotel and the gaming facility inside it – Casino Greek Mythology – have been the subject of myriad disputes, including an acrimonious fall out between Ng Man Sun, chief executive and chairman of Amax International, and his former domestic partner Chen Mei Huan – also known as Chan Mei Fun. Casino Greek Mythology – which has relied on the gaming licence of local concessionaire SJM Holdings Ltd – has been closed for more than two years. Amax International nonetheless claimed in its Wednesday announcement that on May 17 Macau’s Court of First Instance had issued an order that a company called Victory Success Holdings Ltd, which Amax International said was controlled by Mr Chau, had “invaded the hotel property”. The filing further claimed that the court had ordered Victory Success “to leave the hotel and return it to the hotel management within five calendar days”. It further stated that an application to the Macau court by Amax International for the appointment of Mr Ng “as the administrator of Greek Mythology is still under progress”. A Monday note from brokerage Union Gaming Securities Asia Ltd said that were interests linked to Suncity to take over the hotel portion of the business, it would take “at least two years of work to bring it up to Suncity’s high standards”. That might include reducing the number of rooms from the current approximately 550, said the institution. Union Gaming said that prior to the closure of Casino Greek Mythology, it had been operating approximately 80 tables; down from 120 “prior to a clawback from SJM”.